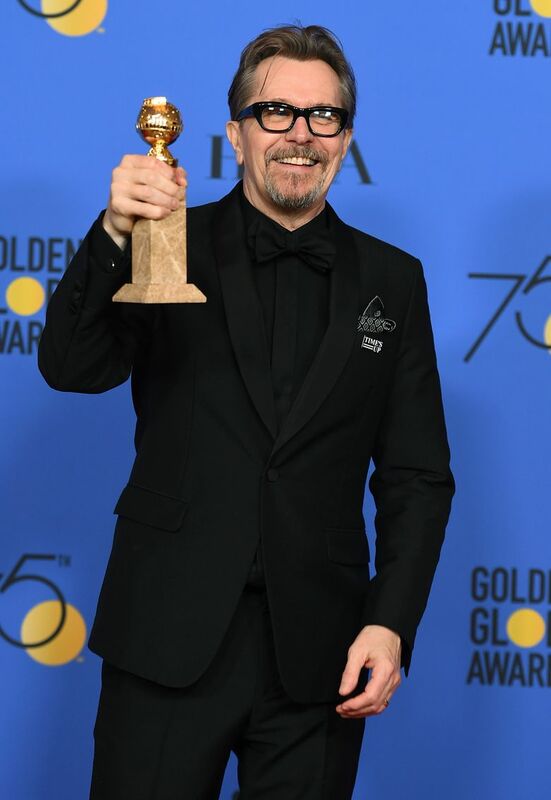 BEVERLY HILLS, Calif. (AP) — It took three decades of work, untold layers of makeup and the fighting spirit of Winston Churchill for Gary Oldman to finally find his way to a major awards stage. 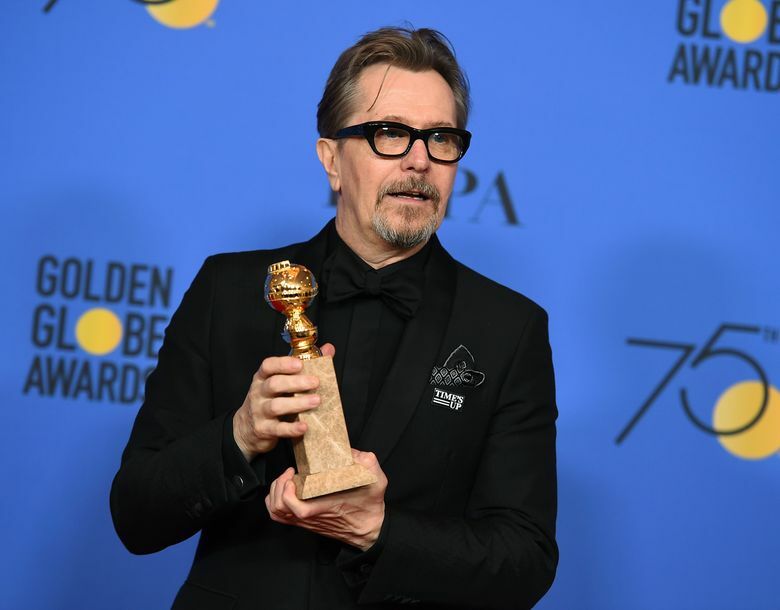 Early in his career, it appeared that Oldman was a breakout talent who would have shelves full of Golden Globes and Academy Awards by now — or at least loads of nominations. But despite 30 years of widely admired work this year’s Globes nomination was his first, and he’s had only a single Oscar nomination. He’s considered a lock to get another nomination, and is one of the favorites to win the best actor Academy Award. 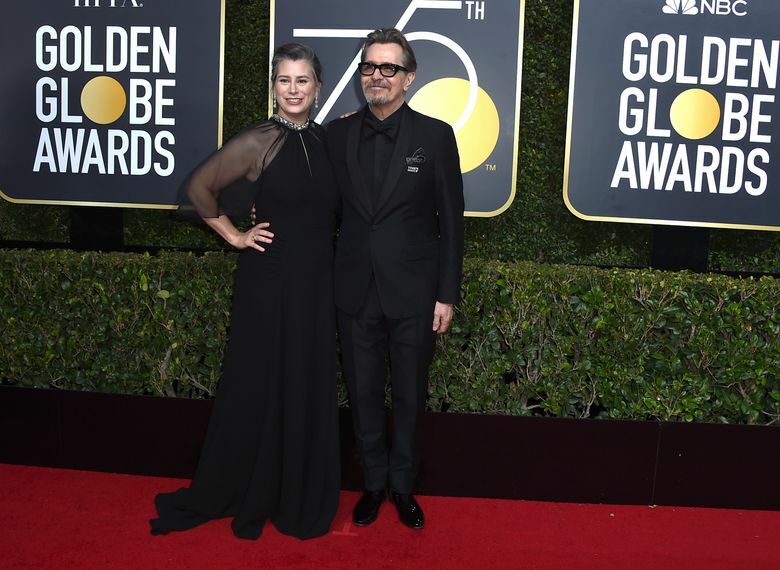 Oldman, 59, once thought the Golden Globe in particular was an award he’d never win, after calling the prize “meaningless” compared to other film awards, questioning the integrity of the selection process and saying the telecast was merely about ratings, not art. That all changed when presenters Geena Davis and Susan Sarandon announced his name Sunday night. 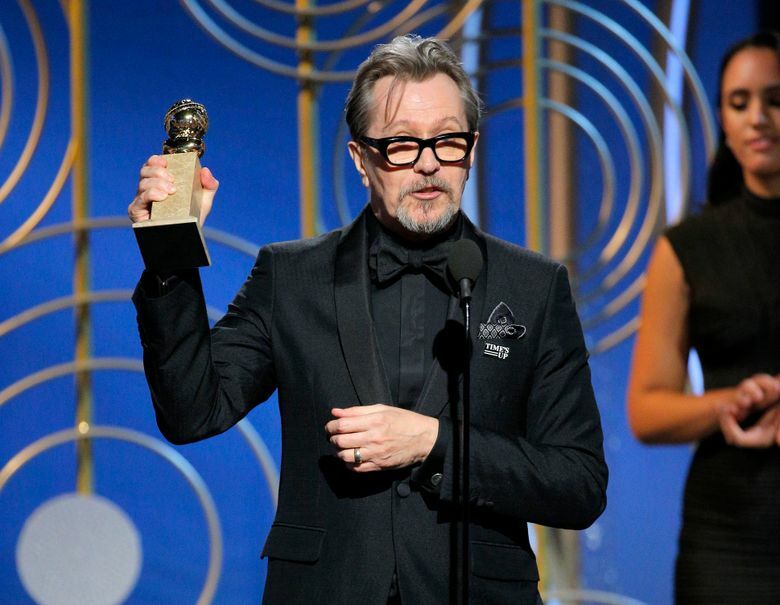 “I feel very humbled and surprised to have been asked to this stage,” Oldman said as he grasped his trophy. He saved his most lavish praise for the technical artists who spent hours every morning rendering him nearly unrecognizable as Churchill. He then thanked his wife Gisele Schmidt for tolerating that same makeup and the rest of what it took for him to play the role. He also thanked on-screen wife Kristin Scott Thomas, for “putting up with all those awful cigars” he had to smoke as Churchill. While he was nominated for an Oscar for 2011’s “Tinker Tailor Soldier Spy,” he had moved away from elite roles in more recent years, becoming better known for playing character roles in blockbuster franchises — Sirius Black in the “Harry Potter” movies, and Commissioner James Gordon in the “Dark Knight” Batman films. He was met with yells of “Sirius!” from the bleachers when he walked the red carpet before the show Sunday. It’s now more likely he’ll be synonymous with Churchill. Backstage after the show, he said he was grateful for one thing in his long career — that he never worked with Harvey Weinstein, whose name was little spoken at the Golden Globes but on everyone’s mind on a night that centered on ending Hollywood’s culture of sexual misconduct.